Over the last 5 years, Russian banks in India have been financing defence deals and energy projects. The growing potential of Indo-Russian bilateral trade makes them look for opportunities in other sectors as well. More than ten global banks have entered India in the last few years with South African, Chinese, South Korean, Australian, Swiss and Russian banks among them. VTB Bank and Sberbank of Russia opened branches in Delhi while rest of the banks, Vhesheconombank, Gazprombank and Promsvyazbank restricted their presence to representative office model that limits the range of products and services they can offer. The strategic task for the branch was to help Russian companies doing business in India start new projects and set-up operations, as well as helping Indian companies enter the Russian & CIS markets. Among VTB India clients are Rosoboronservice providing service support for Russian military equipment, KamAZ, Russia’s largest heavy truck manufacturer, Chetra, a large manufacturer of earthmoving machinery, Sistema and some Indian companies. “From last year we became profitable, covering earlier years’ losses. 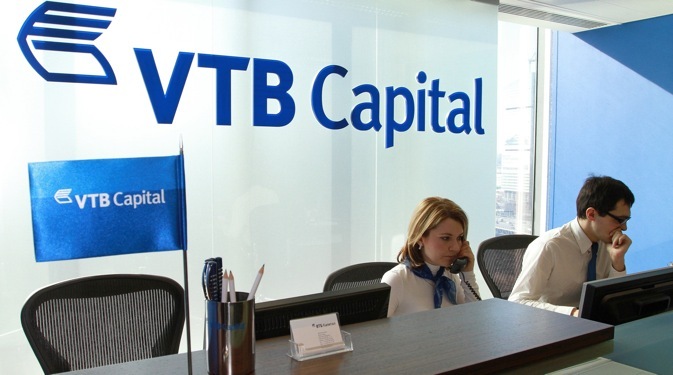 VTB started operations in India with equity capital of $27 million and the volume of assets exceeds this figure considerably. Today we understand we need to increase not only assets but equity too as it will allow us to participate in larger deals,” Yakovlev adds. VTB is considering extending its presence in India by opening branches in Mumbai, Chennai and Ahmedabad. However, the detailed plan has not announced by the bank yet. Yakovlev adds that another part of VTB financial group, investment bank VTB Capital is planning to enter India in near future. To support Russian companies coming to India, VTB is also pondering over the creation of an investment fund as entering any new market using only borrowed funds is difficult. “Companies need cheaper financing sources allowing them to establish their business in shorter period and stand up the competition,” Yakovlev says. Sberbank, Russia’s largest bank registered its branch in Delhi two years after VTB Bank, in 2010. Sberbank India's equity today is roughly $30 million. For two years the branch was more of a representative office than a fully operational branch for various reasons, Vladislav Voytsekhovich, managing director of Sberbank branch in New Delhi told RIR. Initially the branch was set up to support Indo-Russian bilateral trade, he added, however, the trade itself had grown significantly only in 2011 - 2013. Sberbank is planning to open a second branch in Mumbai next year, after business in India out of New Delhi gains momentum. Vladislav Voytsekhovich joined Sberbank in 2012 after working for almost 8 years with ICICI Bank in Russia, starting the bank's operations in Russia and serving as CEO, ICICI Bank Eurasia LLC in Moscow. Having had exposure to the Indian banking sector, he set up ambitious targets for the Sberbank branch in Delhi. Voytsekhovich believes that in addition to supporting Indo-Russian trade, Sberbank India should also target Indian companies having business in Russia, Ukraine, Belarus, Kazakhstan, Turkey and Europe where Sberbank has a presence. “The idea is not only promote our products to these companies but to become a technical partner and consultant for those companies who are eyeing business opportunities in Russia and other countries,” Voytsekhovich says. “That is applicable to Russian/CIS/European/Turkish companies planning to enter Indian market too. My experience shows that companies make a lot of mistakes while establishing their business, choose wrong partners and often get cheated. Our resources allow us help Indian companies finding partners, importers in Russia and reducing the risk of not getting paid. Similarly, for Russian companies planning to do business in India we can guide them, point out the difficulties they may face in India and how they can avoid mistakes. My task is to bring more and more Sberbank’s clients to India and create a good market here,” Voytsekhovich adds. This year Sberbank India has opened credit lines to two subsidiaries of large Russian companies, Mosmetrostroy, the largest and oldest metro builder, and KamAZ. Voytsekhovich sees machinery, infrastructure, pharmaceutical and agriculture/agrochemicals sectors as the most attractive for Sberbank at this moment. “In case of pharmaceutical companies we are targeting those which already export products to Russia & CIS but have plans to enlarge their presence there, start joint ventures in manufacturing and R&D. We see potential in agriculture sector too. As of now agrochemicals is a promising market, however, I believe, our countries could do much better in fruits, grains, pulses, beans, processed foods, juices, vegetables, spices, tea, sugar and even in herbs and flower segments,” Voytsekhovich says. Defence, nuclear power, infrastructure, industrial and telecom sectors are GPB key focus areas in India. The bank financed deals of Russian industrial companies where it holds stakes, such as Uralmash and Izhorskie Zavody. The latter supplied products for the Kudankulam Nuclear Power Plant and other projects. In 2010, on the day of launching a representative office, GPB unveiled a deal with Sistema Shyam Teleservices Limited (SSTL), Indian subsidiary of Russia telecom giant Sistema, for a loan of $200 million. The only Russian private bank represented in India is Promsvyazbank (PSB) ranked among Russia's top 10 banks by assets. Interestingly, it was one of the first Russian banks to establish a presence in India back in 2006. PSB is operating through a representative office in Delhi and has recently appointed a new rep office head Raushaniya Khazimuratova, who has vast experience in international financial and investment consulting. “India’s growing economy attracts Russian business,” Khazimuratova told RIR. “Promsvyazbank keeps up with the steps Indian and Russian government bodies take to improve cooperation between countries and increase the bilateral trade.” She added that PSB is targeting companies engaged in bilateral trade relations focusing not only on large clients but SME segment as well. The bank is ready to offer a range of import-export products and services, bank guarantees, trade finance and factoring services. She adds that PSB expertise in international factoring and trade finance will allow it to offer competitive services to those Russian companies already working in India and just planning to enter this market as well as Indian companies planning to work with Russia. “Achieving success in this region won’t be possible without establishing a relationship with local Indian banks, that is one of our strategic priorities,” Khazimuratova says. PSB is planning to continue operating through representative office model serving clients through large branch network in Russia. Though the client portfolio of Russian banks in India is similar and sometimes intersects, the volume of business and diverse requirements make it quite possible for all the players to secure their own niches. Industry experts note that in India, Russian banks compete not with each other but rather with large global banks well-established both in India and Russia - Citibank, Deutsche bank, HSBC for example. Therefore creating brand-awareness in India is something all Russian banks will have to focus on.